BREAKING! 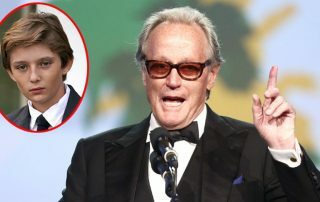 Melania Trump has reported Peter Fonda to the Secret Service for his threats against Barron and President Trump. Lock the miserable SOB up! 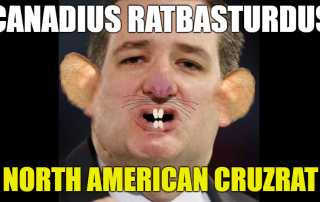 Cruz apparently can’t see how the existing law of separation is a deterrent to illegal immigration. 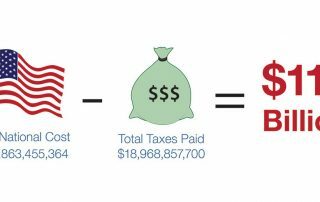 Spending additional taxpayer resources and bending over backward to keep illegal immigrant families together will only embolden more aspiring illegal immigrants to cross the US border illegally. 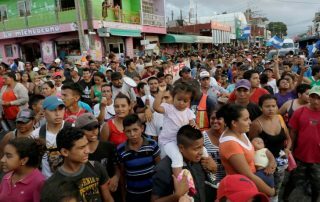 Following is the latest news on the caravan of Central Americans on the US/Mexican border near San Diego as they prepare to cross into the United States to seek asylum. We will continue to update this article as new information becomes available. 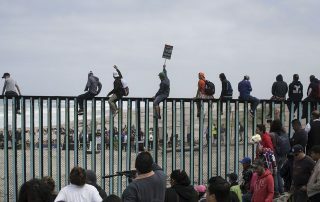 The caravan from Central America that has been traveling through Mexico for the past few weeks has finally arrived at the US border, which they plan to cross illegally at San Diego sometime on April 29. 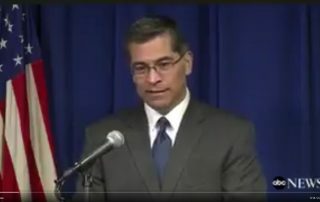 ICE should arrest the Governor immediately and jail him, pending deportation, until the matter can be thoroughly investigated and his US citizenship, or lack thereof, confirmed. I understand that can take months or even years. VIDEO: Laura Ingraham boots liberal weenie off her show, not only cutting his mic, but also his camera. He simply disappears. Well done, Laura! 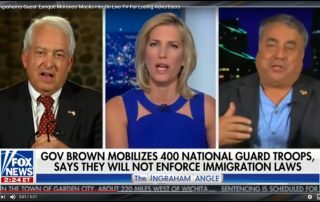 When lover of illegal immigration Enrique Morones gets nasty, insulting Laura Ingraham, telling her he is glad David Hogg let her come back on the air, reading the leftist loser the riot act, then cutting his mic and his and camera. He simply disappears. 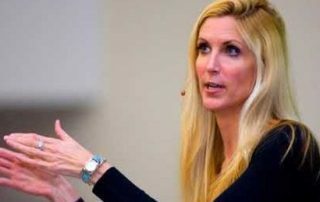 Now, if she can just make all liberal weenies disappear so easily. 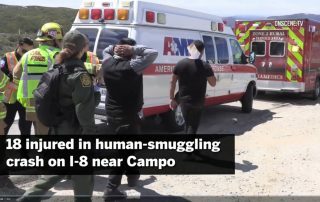 More undocumented Democrat voters are streaming across our southern border illegally, no doubt emboldened by the Democrats in Congress resisting President Trump’s intent to build a wall and increase border security to stop illegal immigration altogether. 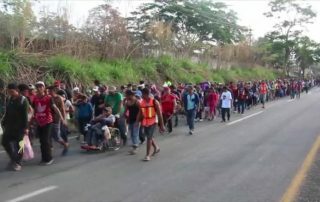 CNN’s Leila Santiago, covering the immigrant “caravan” moving through Mexico and toward the United States in recent weeks, asked the travelers where they intended to go on Monday. 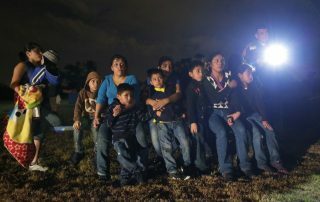 All who answered indicated that they would go to the United States to seek asylum. Every day many new cases are made validating President Trump’s intention to build a secure border wall and increase border security. 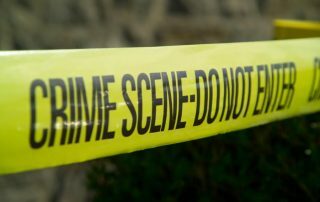 Eighteen more cases were made Saturday near San Diego. VIDEO: President Trump vows to use the military to prevent the Central American caravan from entering the US. These caravans are not organizing spontaneously. 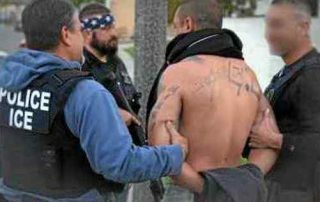 Someone, somewhere, is behind the organizing and funding of these criminal gangs intent upon entering the United States illegally. So far, this nefarious and illegal enterprise has all the markings of a Soros-backed operation. 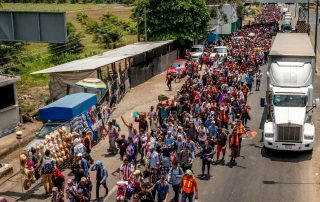 If they are successful, we will no doubt see many more such armies organized and on the way, wave after wave, a virtual flood of illegal immigrants that, not unlike Europe, will have no end until they have totally overwhelmed America. 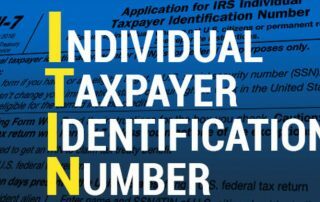 The IRS is taking it upon themselves to legalize illegal aliens by issuing ITINs to illegal immigrants using fake Social Security numbers or stealing a valid citizen’s Social Security number in order to file a tax return, likely receiving a nice, fat tax refund? 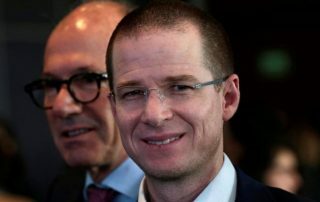 Anaya visited California earlier this month to do what all Mexican politicians do – bash President Donald Trump and glad hand as many Mexican nationals as possible while soliciting their votes. He also met with University of California President Janet Napolitano, according to The San Diego Union-Tribune. President Trump has the right to enforce federal immigration law and require states do the same and withhold federal funding from those that refuse. So says federal judge William Orrick. 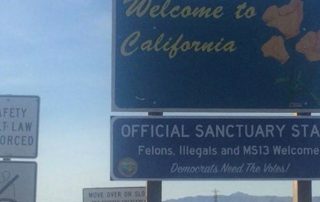 Joe Arpaio is telling President Trump what to do about the insolent state of California. I have a better idea! An increased general presence will not be very effective. What will be effective is embedding ICE officers in every single precinct in the state and then billing California for the cost. 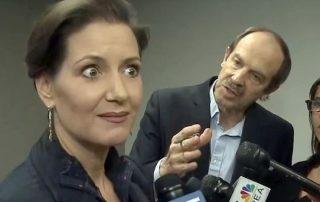 VIDEO: Clinton pal and mayor of Oakland just violated federal law warning illegals that ICE was on the way to arrest them. 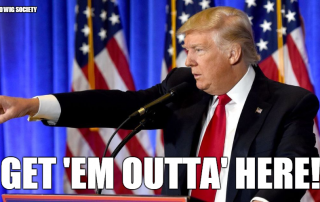 Patriots are pissed! 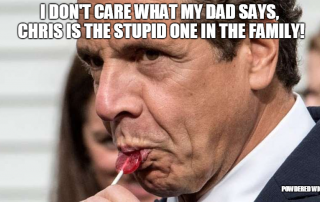 Should a citizen die as a result of actions by an illegal immigrant the mayor is harboring, it is a capital offense, punishable by life in prison or the death penalty. 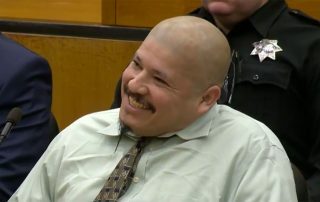 Illegal immigrant who had been deported four times was set free by a hospital which had been instructed to not let him go, that he was to be turned over to ICE. The hospital ignored the instructions and now the illegal has killed and dismembered a man. 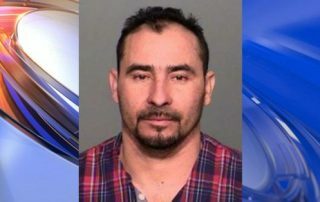 One of Orrego-Savala’s victims was a professional football player for the Indianapolis Colts, Edwin Jackson, whose promising future was cut short on Super Bowl Sunday due to the “resistance” of liberal Democrats for a tough, common-sense immigration policy. 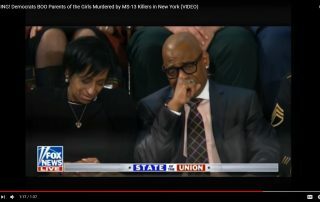 True to form and their un-American character, the Democrat side of the chamber erupted in boos as President Trump relayed his sympathy to the grieving parents and outlined his 4-pillar plan to combat illegal immigration and close existing loopholes in US immigration policy. 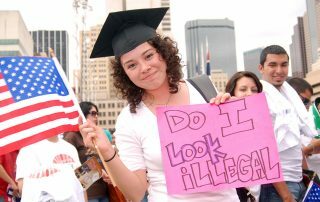 In summary, a year ago Dreamers were demanding immediate citizenship and no border wall so that even more illegal immigrants could simply wade across our southern border. Fast forward a year and their tune has changed considerably. Unable to secure a commitment for amnesty, they began to verbally abuse the senator. Great idea! They don’t have many friends on the right and are determined to alienate the ones they have. “F*ck this conservative! F*ck this person!” shouted the apparent leader of the group. 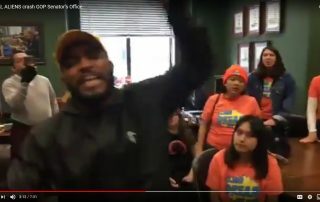 The Democrat Party is trying with all its might, which isn’t much, to shove illegal immigration down the throats of Mom and Pop America because it means new voters for Democrats, who know full well that if they want to win another national election, they must support and encourage illegal immigration. 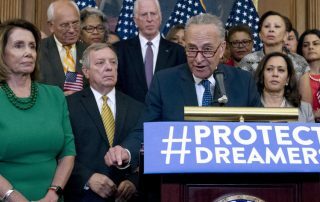 Remember the number, 800,000, that Dems have been pounding in the media as the number of Dreamers in the US? The real number is 3.6 million! 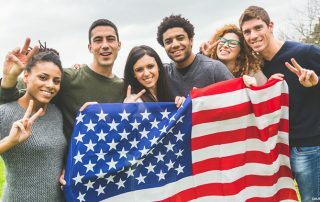 Make no mistake, the Democrats have been fighting so hard to grant citizenship to 3.6 million illegal immigrants because they know that they would vote predominately Democrat. They could give a doodly about the Dreamers, but they MUST have those votes! 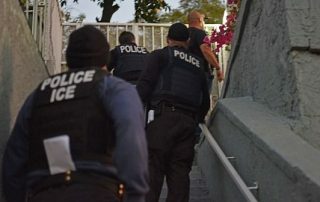 Employers who cooperate with federal authorities in regard to apprehending illegal aliens will be arrested and punished by the state of California, according to two new state laws.